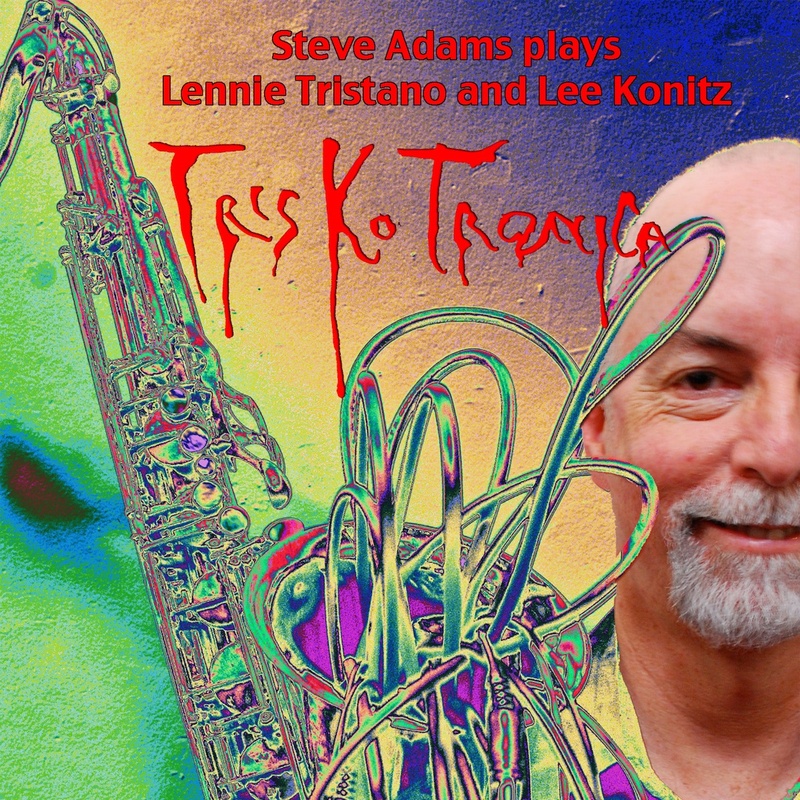 Listen to the second release from Sensitive Skin Music: Steve Adams’ Triskotronica. If you like it, buy it from iTunes or Amazon. In a world that values the familiar, Steve Adams’ Triskotronica should be on another planet. It’s a good thing that it’s not, because that means the world would miss this challenging yet listenable music. Fusing electronic soundscapes with his alto and tenor saxophones and bass flute, Adams creates his own genre of ambient electronic jazz. Triskotronica brings a whole new musical experience that brings back the past while exploring the future. Adams did not write this music. It’s a beautiful homage to jazz innovators Lennie Tristano and Lee Konitz and their tradition of improvisation (they are generally acknowledged to have invented the concept) and recordings with manipulated sounds. Tristano did not live to see pure electronic instruments and music software, which he surely would have incorporated, and Adams takes it upon himself to rework their tunes with the technology they didn’t have the opportunity to use. Adams talks about this fusion as an urgent calling – “two interests collided and this project seemed like something that I was compelled to do.” The passion resulting from compulsion is obvious in each piece. Adams incorporates random selection for arrangements, letting the computer make decisions, creating a high-tech musical analogue of the Brion Gyson/William Burroughs literary cut-ups. Best known for his work with the Rova Saxophone Quartet, to which he also introduced electronics, Adams brings a long list of playing alliances from John Zorn to Cecil Taylor to Fred Frith to the Kronos String Quartet, all of which are immediately recognizable to the adventurous music listener. Influenced by musicians including John Coltrane, Captain Beefheart, and Karlheinz Stockhausen, it’s easy to see just how Adams was able to make music this innovative from jazz tunes dating back more than fifty years. Triskotronika took Adams eighteen months to realize from music he had recorded over a five year period and thought about for far longer. Rather than assemble tunes and practice, Adams improvised over the electronic backgrounds with producer Myles Boisen at Guerilla Euphonics, who had previously worked with Adams and Rova. The result of this collaboration delivers spontaneity that belies the age of the tunes.